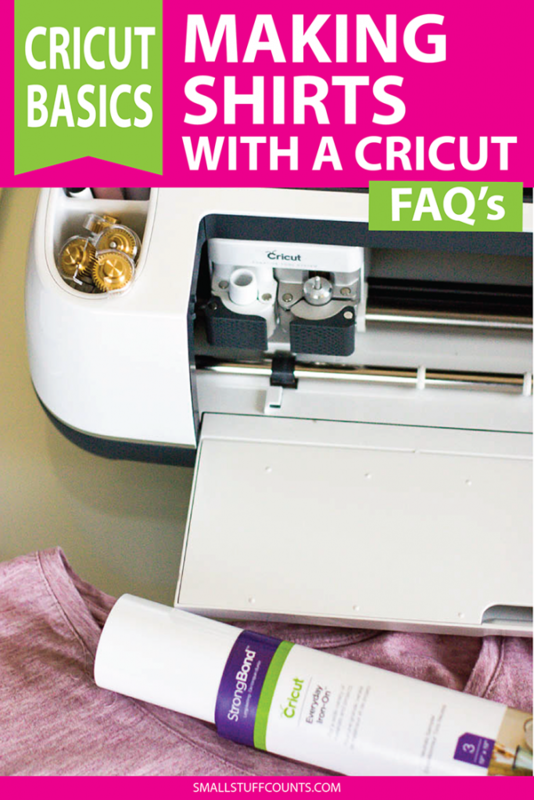 Learn all about making shirts with Cricut in today’s FAQ. What machine do you need? Do you need to be a graphic designer? Can these shirts be washed? Answering these questions and many more. The most common questions I get about Cricut cutting machines are all about making shirts with Cricut. Can you make your own vinyl decals for shirts? What machine do you need? Is it hard? Do I have to be a graphic designer? The short answer is YES, you really can make your own shirts with the Cricut Maker or any of the Cricut Explore machines. And it’s a lot easier than you think! Learning how to make your own T-shirts comes in so handy for holidays and special occasions. 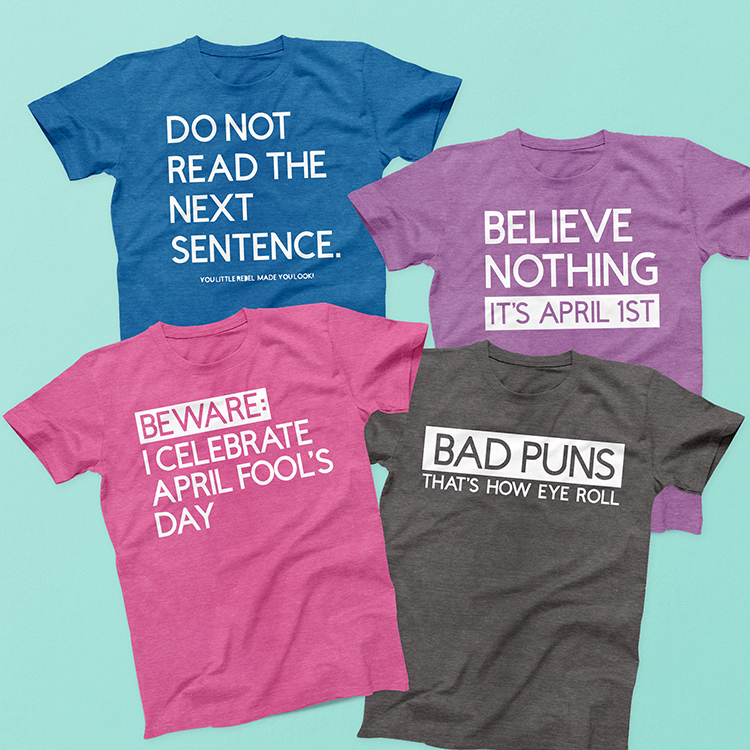 Today I’m sharing a few quick FAQs about making shirts with Cricut along with my fun new April Fool’s Day shirt collection that’s now available through Cricut Design Space. 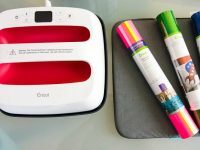 Related: What Is The Cricut EasyPress 2 And Do You Need One? 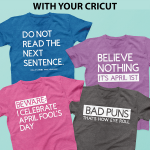 I’m excited to share my new April Fool’s Day shirt collection I designed exclusively for Cricut! I’ll admit, when the Cricut team reached out to me about designing this collection, I was a little hesitant at first. I’m the girl who never gets jokes, after all! But I do love sarcasm and snarky sayings, and my brain was soon off and running with all kinds of fun ideas. 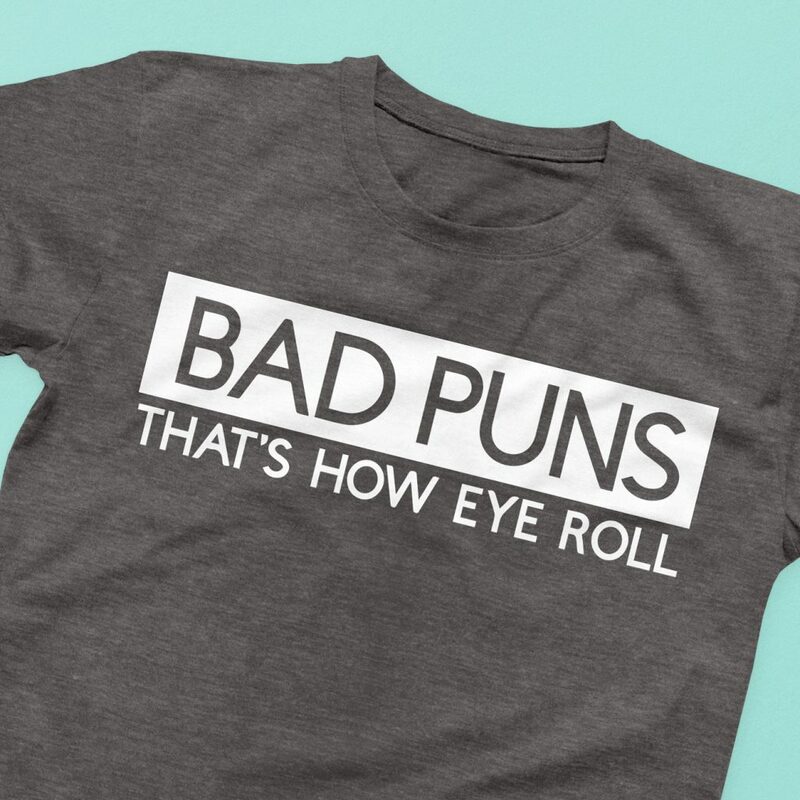 The result is a set of four shirt designs with modern typography and fun sayings. Here are the four shirts I designed! 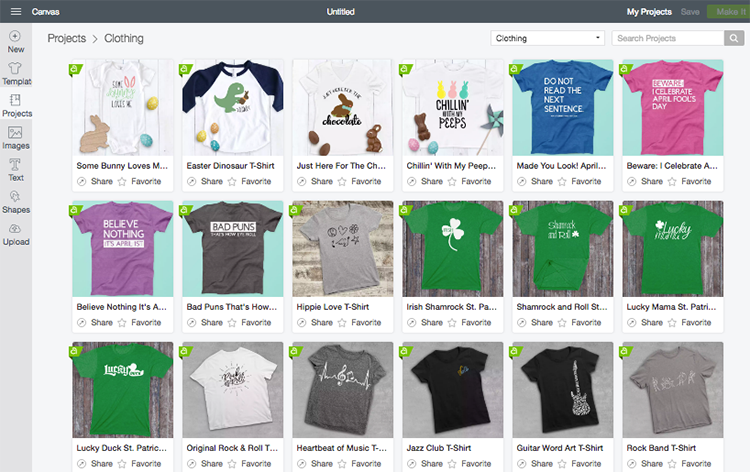 If you own a Cricut cutting machine, you have access to these shirt designs right inside your Cricut Design Space software. These designs can be created using any color and kind of iron-on material. Simply open the design, cut it out with your Cricut, and iron it onto a T-shirt! All of my designs are simple one-color text which is perfect for beginners. And the magic of making shirts with Cricut is being able to adjust the size of the design to fit on your baby’s onesie or your husband’s XL T-shirt. Do Not Read The Next Sentence – You Little Rebel. Made You Look! Since we’re talking all about custom T-shirt designs today, I also want to take a few minutes to answer some FAQs about making shirts with Cricut. If you have additional questions, please leave a comment at the end and I will get you an answer! What Cricut machine do you need to make DIY shirts? 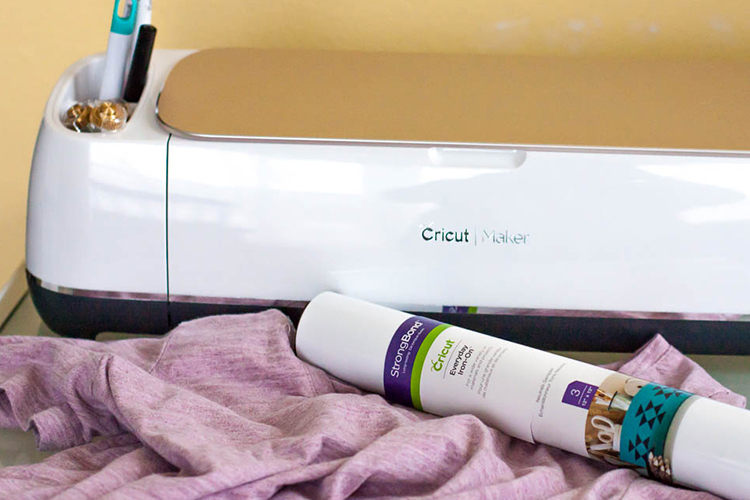 The entire family of Cricut cutting machines can cut iron-on material, also known as heat transfer vinyl (HTV). Once you have a machine, you’re in business! What supplies do you need to make shirts with a Cricut? Where can I find good instructions for making my first shirt? What does it cost to make your own shirt with a Cricut? Once you own a Cricut machine, the only cost for making shirts is the cost of your shirt plus iron-on material. Most of the 12” x 24” rolls of iron-on material are less than $10. And, depending on the size of your final design, you may be able to make a couple of shirts with that one roll. Do I need to be a graphic designer? No way, Jose! 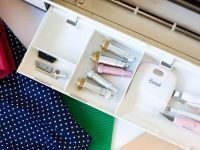 If you have a Cricut then you already have access to the hundreds of ready-to-make designs available inside Design Space (Cricut’s free, easy-to-use design software). But if you do want to design your own shirts, the Design Space software is very user-friendly. 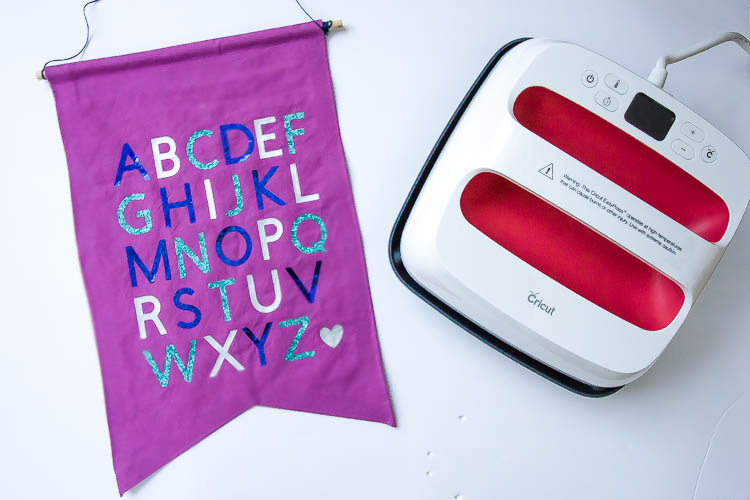 There are hundreds of Cricut fonts, shapes, and images available inside Design Space to help you make your one-of-a-kind designs. 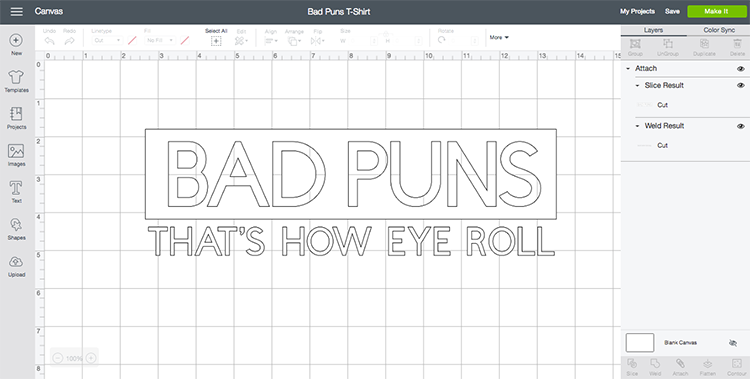 If you create a design that uses all Cricut fonts and images, then you can also share it with your other Cricut friends so they can quickly recreate your project. Where do I find ready-to-make shirt designs? There are lots of ready-to-make shirt designs waiting for you inside Design Space. In total, there are more than 800 pre-designed Make It Now projects for shirts, totes, cards, and so much more. The Make It Now designs are already set up so all you have to do is click “Go” to start cutting. Cricut is constantly adding new designs, including monthly T-shirt collections, so you will always find fresh ideas. My new April Fool’s Day shirt designs are just a sampling of the ready-to-make designs you can choose from! 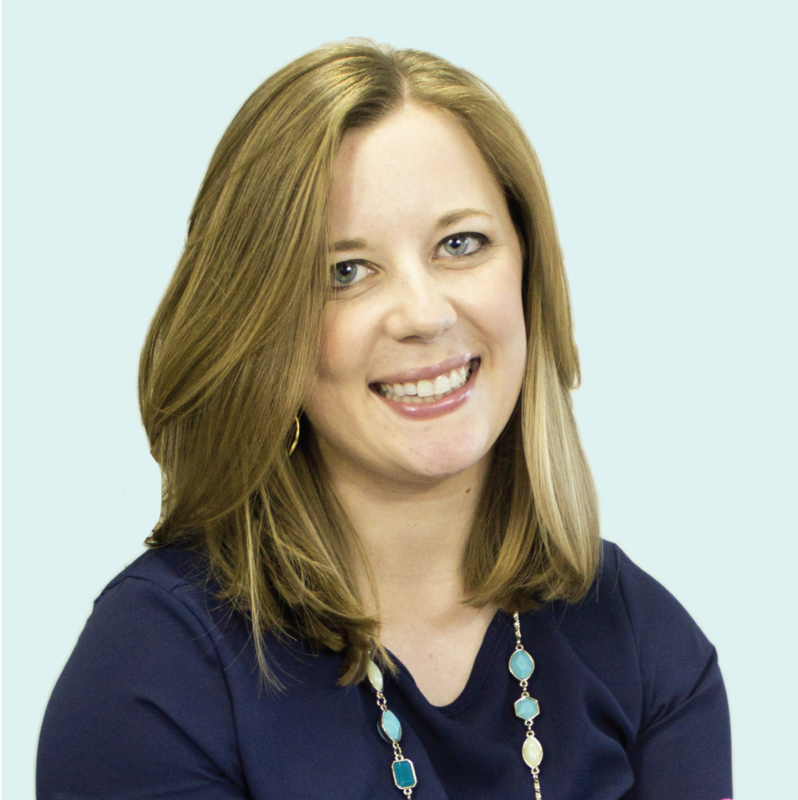 If you find an SVG file from another place like Etsy or your favorite blogger, you can import SVG files directly into Cricut Design Space. The modifications you can make to imported designs is limited and you aren’t able to share that design with others. Do you have any tips for a NEWBIE? 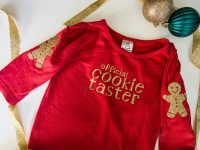 If you’re interested in making shirts with Cricut, there’s no need to be intimidated! For your first project, choose a design that only uses one color. Designs with fun sayings and words are perfect for one-color projects. What kind of iron-on material should I use? Check out all of these cool materials in the Cricut Store. Do the shirts need to be a certain material? You can apply iron-on material to tons of base materials including a huge assortment of fabrics as well as some non-fabric materials. They even have a new SportFlex material designed specifically for stretchy workout clothes. Can I wash shirts I make with my Cricut? If you follow the full application instructions for the material you use, your shirt will last a long time. 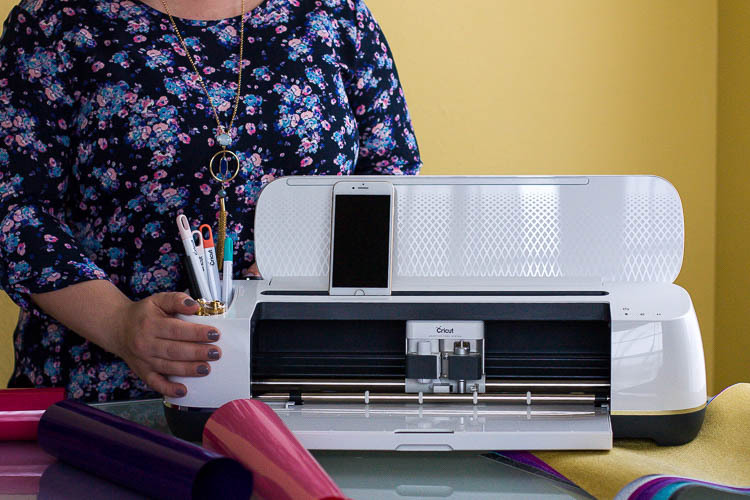 The Cricut team does extensive testing to ensure their iron-on materials are long-lasting. Many of their iron-on materials include the StrongBond™ Guarantee. This means that when Cricut iron-on is used as directed, you’ll be completely satisfied with the results. If not, they will replace it for free. Can I put the iron-on designs on things besides T-shirts? There are so many project ideas beyond shirts! Anything that’s made of a fabric or material listed on the list of approved materials is fair game. Customize T-shirts, blankets, pillows, bags, shoes, socks, and beyond! I hope I answered your questions about making shirts with Cricut! If there are more questions I can answer, I’m happy to reply to them in the comments below. 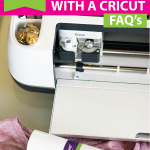 What Is The Cricut EasyPress 2 And Do You Need One? 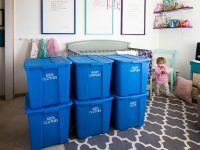 What materials does the Cricut Maker cut?